HPISD has a history of both academic excellence and educational innovation. In mapping out our path for the future, district leaders created a snapshot of the characteristics that will be valuable for the Educator for the Future. In 2012, HPISD introduced the profile of HPISD’s Learner for the Future to articulate the knowledge, skills, attributes and dispositions our students will need to become accomplished people and lifelong learners. Building on that work, our district design team created the profile of the Educator for the Future to identify the skills our educators will need in order to support our students. Our educator for the future inspires each learner to develop the knowledge, skills, attributes, & dispositions to be an accomplished person & an engaged citizen. 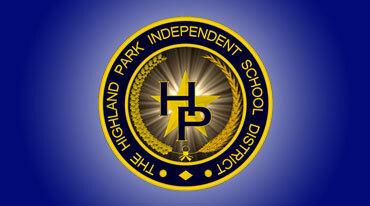 Highland Park Independent School District, with an unyielding commitment to excellence, will provide an exceptional academic program that recognizes the unique potential of each student and integrates the intellectual, social, cultural and physical aspects of learning. This program will empower each student to become an eager lifelong learner committed to academic excellence, integrity, responsible citizenship and service to others. A rigorous, well-rounded academic education is a cornerstone to a successful life. Learning is enhanced by passionate teachers who pursue expertise in their fields and are highly valued by the entire community. Learning must include the ability to relate effectively amidst diverse cultures within a global economy. Education rightly occurs in environments where high standards of character and ethics are expected. Education is a shared responsibility among students, educators, parents and community. We will create an innovative system of learning that empowers each student to realize the unique genius within. We will partner with families and community to ensure the physical, emotional and social well-being of each student. We will design creative methods to attract, support, develop and retain exceptional personnel. We will commit to new levels of partnership through effective and efficient information-sharing. We will guarantee the resources necessary to fulfill our mission.